Nicolás Maduro Moros (/məˈdʊəroʊ/; Spanish pronunciation: [nikoˈlas maˈduɾo ˈmoɾos] ( listen);[b] born 23 November 1962) is a Venezuelan politician serving as President of Venezuela since 2013, and disputed president since January 2019. 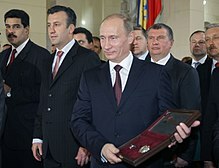 AP News reported that "familiar geopolitical sides" had formed in the 2019 Venezuelan presidential crisis, with allies Russia, China, Iran, Syria, and Cuba supporting Maduro, and the US, Canada, and most of Western Europe supporting Juan Guaidó as interim president. 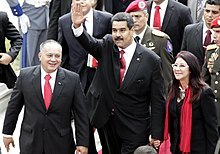 Maduro has been described as a "dictator",[d] and an Organization of American States (OAS) report determined that crimes against humanity have been committed during his presidency. Maduro allies including China, Cuba, Russia, Iran, and Turkey support and denounce what they call interference in Venezuela's domestic affairs. Amid widespread condemnation, President Maduro was sworn in on 10 January 2019, and the President of the National Assembly, Juan Guaidó, was declared the interim President by that body on 23 January 2019. Maduro's government states that the crisis is a "coup d'état led by the United States to topple him and control the country's oil reserves." Guaidó denies the coup allegations, saying peaceful volunteers back his movement. 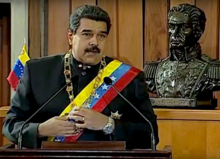 With widespread condemnation, President Maduro was sworn in on 10 January 2019. 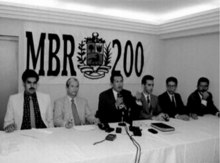 Minutes after he took the oath, the Organization of American States (OAS) approved a resolution declaring his presidency illegitimate, and calling for new elections. The National Assembly invoked a state of emergency, and some nations removed their embassies from Venezuela, with Colombia, and the United States saying Maduro was converting Venezuela into a de facto dictatorship. The President of the National Assembly, Guaidó, was declared the interim President by that body on 23 January 2019; the US, Canada, Brazil and several Latin American countries supported Guaidó as interim president the same day; Russia, China, and Cuba supported Maduro. As of March 2019, over 50 countries, the OAS, and the Lima Group do not recognize Maduro as the legitimate president of Venezuela. The Supreme Tribunal rejected the National Assembly decisions, while the Supreme Tribunal of Justice of Venezuela in exile welcomed Guaidó as interim president. The United States Department of State issued a communication stating that Maduro had used unconstitutional means and a "sham electoral system" to maintain an unlawful presidency that is not recognized by most of Venezuela's neighbors. After the Constitutional Assembly election, the United States sanctioned Maduro on 31 July 2017, making him one of the few heads of state sanctioned by the United States, with Secretary of the Treasury Steven Mnuchin stating "Maduro is a dictator who disregards the will of the Venezuelan people". 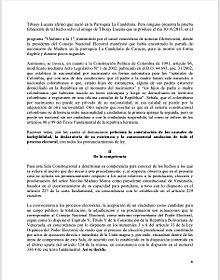 On 29 March 2018, Maduro was sanctioned by the Panamanian government for his alleged involvement with "money laundering, financing of terrorism and financing the proliferation of weapons of mass destruction". ^ "Iran supports Venezuelan government amid US meddling: Qassemi". PressTV. 19 January 2019. ^ "Maduro brother, stand tall, Erdoğan tells Venezuelan president after US move". Anadolu Agency. 24 January 2019. This page was last edited on 18 April 2019, at 04:06 (UTC).